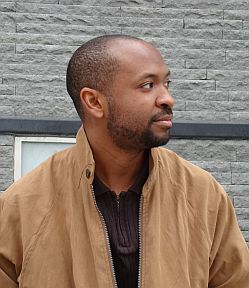 Gary Jackson was born and raised in Topeka, KS, and is the winner of the 2009 Cave Canem Poetry Prize for his book, Missing You Metropolis. His poems have appeared in Fugue, Callaloo, The Laurel Review, Tin House, Phoebe and elsewhere. 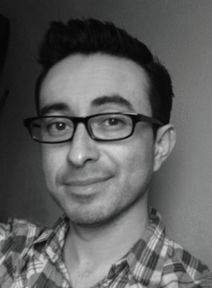 He is a poetry editor at Catch Up: A journal of comics and literature, and teaches at Central New Mexico Community College and the low-residency MFA program at Murray State University. Currently living in Albuquerque, NM, he has been a fierce lover of comics for over twenty years. Ruben Quesada: The epigraph of the opening poem in your collection, [after Auden,] sets a tone of authority and strength; it connotes certain expectations for the reader about the voice and craft of the collection. I found it extremely powerful; it generated a lot of energy, which I find throughout your collection. Would you mind talking a little bit about the influence of Auden and perhaps the impact of literary predecessors on your writing of this collection? And how do you convey the importance of our literary predecessors to other poets you might mentor? Gary Jackson: So let me preface this with how terrible my memory is. In fact, some days I wonder if I picked the wrong profession, since I tend to forget books right after I read them. With that said, I've begun trusting myself more to retain remnants of ideas from the books and authors that I admire, even when it's difficult for me to remember the details that originally drew me to them. I've never thought of Auden as a direct influence. Although I believe it's important to know the traditions you work in, I actually read contemporary work by fellow peers as much as I read the poets that we consider part of our literary canon. I like to be aware of the work that's out there now — I like to see what traditions we choose to follow and which ones we react against, the risks we take, and new forms that emerge from those risks. We only do half the work if we only read poets that inform the specific traditions we choose to follow and ignore younger poets that are trying to carry on those same traditions. With all of that said, what prompted me to write the opening poem in the collection "The Secret Art of Reading a Comic" is that I couldn't think of a better way to introduce the subject of comic books in poetry than to write a poem that carries some of the themes found in Auden's "Musee des Beaux Arts." What I enjoy about Auden's poem is how it responds to this specific Breughel painting and it does this interesting thing - exploring the aesthetics and concerns of visual art form using poetry. It seemed like a natural influence for me as I tried to write a poem that explored the aesthetics of comics, and once I had compiled all the poems that were going into the manuscript, it seemed natural to have that poem — "The Secret Art of Reading a Comic"— open the book. I read your book in one sitting, which is exceptionally rare for me — in general I'm a slow reader, and even slower when it comes to poetry, but I couldn't stop reading - in part because I found your book has this very natural trajectory, not necessarily narrative, but a succession of moments that move forward, chronologically and towards this inevitable maturation. I once heard Kevin Prufer talk about how narrative poems are frowned upon by poets of his generation for whatever reasons, but recently he began writing them more. I've been labeled as a narrative poet myself, and though I'm always hesitant to categorize poets and poems, did you intend from the beginning to run a narrative thread through your manuscript? And what are your thoughts on the dichotomy between "narrative" and "lyrical" or is that dichotomy simply imagined? RQ: I think the best type of poetry is one which balances the narrative and the lyrical or one which balances intellect and emotion. I enjoy getting lost in a lyrical poem that has an underlying narrative. When I was organizing the poems in my collection I did consider chronology as the driving force for order but I wanted each poem to be balanced. I wanted each poem to have its own moment; the poems in my collection focus on family and place and the recurring speaker of the poems moves from childhood, through adolescence, and into adulthood. The narrative of life was inevitable, but the lyrical moments of the speaker were in some way outside of time. Ultimately, I see the poet as the curator of history and therefore the collection had to unfold chronologically. Your use of comic book figures is intriguing, especially your juxtaposition of these superheroes in mundane situations which gives their character tenderness and vulnerability which isn't necessarily the central focus in a comic book narrative. For instance, the Joker's familial memory in "Origins of Memory" or Batman's all-too-human abilities in "Missing You, Metropolis" reminds the reader that behind the mask of these personas we are more alike than we often care to acknowledge. I'm reminded of Eliot's Four Quartets and his reaction on the destructive nature of technology. Would you share your thoughts on how you see technology further building upon the masks we wear or how would you respond to those who see your depiction of these superheroes as an analog for mankind losing its sense of humanity? GJ: We could argue that technology is an unconscious theme in most poetry since many of the technological advances we've made are in an effort to communicate with each other — a goal that poetry has been achieving for centuries (my partner, Lisa Hase, who is also a poet, could speak far more on this subject than I could). We could also argue that technology and the advent of the atomic age had an especially profound effect on the Marvel Comics characters, since most of those superheroes have origins that tie into science, nuclear power, radiation, and mutation. In a way, technology birthed those superheroes; however, I never consciously decided to explore that intersection of technology & destruction & birth even though we could argue that it's there. But I'll leave that to someone else to write about. To me, superheroes always reflect the current state of things. Despite the fact that characters such as Superman, Batman, Captain America and Spider-Man are static — or fixed in a certain physical age and appearance — they all undergo constant flux depending on the social and historical context of the time. The Uncanny X-men are an easy example: through their 40+ years they've represented teens, blacks, LGBT, and any group that has at one time or another been considered outcasts and/or oppressed. All our superheroes are so fundamentally different from their original incarnations: Captain America routinely fights against the government; Spider-Man's divorced; The Incredible Hulk is a victim of child abuse; and comic creator Frank Miller once proposed a story called Holy Terror, Batman! where Batman would beat the hell out of Al-Qaeda. So yes, I think superheroes very much serve as a measuring tool for how we view ourselves. Place plays a huge role in your book — I'd even go one step further and argue that "home" or "origin" is a more exact way of defining how place plays out in your work. I know you currently live in Lubbock, Texas, so I'm curious if you think that writers can only truly write about home when they're no longer there? And why do you think that is (or is not) the case? And how does this apply to your own approach to writing about home? RQ: Poet/critic, Carl Dennis, has said about distance, "When a speaker's passion is far more obvious than his discrimination and inclusiveness, little space is allowed for reflection." Most of the poems in my book were written while I lived in Los Angeles; my spatial distance from the experience was far more important to me in order to have a clear, objective sense of being-in-the-world. A poet does not need to remove him or herself from home to write about home or place. The ability to reflect upon personal experience or to understand the vision of the world requires distancing intellectually and emotionally in order to portray the experience coherently. My work has been influenced by the Confessional movement and subsequent writing which focuses on the self as a central figure. Your poem "Listening to Plath in Poetics" brings Confessionalism directly into play, do you find your voice is much more resonant when the reader is presented with a speaker that only exists on the page and does not extend to the poet? Is it easier to address the human experience by creating distance between yourself and the speaker of your poems? GJ: I think every poet has a cultivated persona in his/her work, including the confessional poets to some degree. Plath is a good example in the way she uses herself and others in her poetry to portray not necessarily "truth" to the degree we treat an autobiography, but instead trying to approximate an emotional truth that sometimes requires conflating time, events, and people. I think all poets do this, even when they become the speaker in their poems. I believe even the act of writing a poem turns truth into something else entirely. I see the central speaker in Missing You, Metropolis as an approximation of myself — he's locked into place — when the book ends, he's no longer there. His story is finished. Even though I share the central speaker's experiences, I have the extra benefit of emotional distance and the constant revision of memory that we all have when the present causes us to re-negotiate the influences of our pasts. The central speaker in Missing You, Metropolis lacks this ability, since the act of writing a poem renders experience as artifact — something that becomes immutable within the space and time of the book. And honestly, I need that distance between myself and my speakers to communicate an experience to the reader; otherwise I may become too tied to literal truth instead of preserving the integrity of the narrative. I don't know why, but I've always found it difficult to pull off prose poems. In fact, more than a few of my published poems are "failed prose poems" that were eventually revised out of that form. What are your thoughts on how a prose form can better serve a poem and when do you think it's detrimental to the poem? RQ: I think the ability to manipulate the sentence and the line is one of my greatest pleasures as a poet. Free verse resists traditional metrical form; the prose poem resists the line. I tend to use the prose poem when the narrative elements supersede its lyrical nature. Often language in a lined poem engages the reader to enact their own sensibilities to connect to the experience from one line to next; prose engages the reader by focusing on the narrative and in some way makes the lyrical element secondary. This is not to say that diction isn't important. It becomes much more important in constructing a beautiful sentence. You need to give the reader variation, in length and rhythm, of sentences to make the time spent from margin to margin worthwhile. In keeping the conversation going about process—your first collection of poetry won the Cave Canem Poetry Prize, selected by Yusef Komunyakaa; what was the biggest challenge in revising your collection? Does your early success create pressure for completing your next project? GJ: I imagine the biggest challenge for many poets revising their first book is answering the question How do I look at this with fresh eyes? Most of us have been working on that first book for years, a decade or longer even. So to have to look at a collection that's as old as a child (and that's not even taking into consideration how old some of the individual poems may be), that's difficult. Before Cave Canem announced I had won, I had already revised the entire manuscript again. And then talking with Jeff Shotts (an amazing editor) and Yusef Komunyakaa and a few other folks about further revisions demanded an incredible amount of objective and (at times) brutal honesty, but also an attuned sense of how I wanted the finished product to read. Some poems that I felt were very much finished were substantially revised; and a few poems were actually changed back to earlier versions because something was lost in recent revisions I had made that destroyed the cohesive structure I was trying to establish. I do feel pressure to complete my next project, but honestly, I'm thankful for the pressure. Having the first book under my belt gives me something to work from. My hope is that whatever form my next project takes on, it will be informed and play with/against the first book. It all makes the pressure very tolerable and I try not to take it for granted. To keep my sanity, I always remind myself "I can always write a better poem." This, of course, doesn't mean I always do write a better poem, but that's another story. The central speaker in your collection is directly referenced as the "next extinct mammal" in the last poem of the collection, but I'm tempted to also think of the various other characters and ghosts that populate your collection as extinct mammals ranging from Mr. Lee in "Street Fighter," to Carmen to the librarian to even Oprah. I was hoping you could talk about what drove you to title the manuscript "next extinct mammal" — and what is it about that title that speaks so well to the collection as a whole and prepares the reader for entering the world you've rendered in this collection? RQ: I've thought a lot about the importance of poetry in our lives. Helen Vendler's Jefferson Lecture, "The Ocean, The Bird, and the Scholar," emphasizes the importance of studying "the products of aesthetic endeavor: architecture, art, dance, music, literature, theater, and so on" in order to understand the human experience. The function of poetry or of a poetic collection is to give readers a moment in time; the reader is allowed to step into the life of the poet and live his or her world in that moment. What could be more intimate than to embody someone else's thoughts? The figures in my collection are people which existed in my life and like them, you and I will one day be extinct. I think this idea places an enormous value on the singular characteristics of a human being; the superheroes in your book have their own singular abilities and powers, and so does each person among us. GJ: I've always found myself attracted to particular aesthetics in other art forms as well, whether it's music, drawing, painting, playwriting, and — of course — graphic novels. I frequently refer to myself as a "failed comic creator" since I spent so many years pursuing that dream off and on until I finally realized poetry was what I really enjoyed. So while we're on the subject of first books, do you plan on taking a break on generating new work while you promote Next Extinct Mammal or are you already cooking up new poems? And for my final question: How has having your first book under your belt helped you prepare for a future in writing and publishing future work? Is there any advice you'd like to give to other poets working on that first book, or ideas on how to even approach writing a second book? RQ: Having my first book under my belt is great. I've been at work on my next collection for the past two years. My second full-length collection of poetry is also my dissertation project, which will be finished in spring 2012. If I were to advise a poet that is working on a collection, I would suggest that she or he read a lot of poetry and a lot of prose. Some of the most rewarding ways I've learned to use the line and sentences has come from reading great literature. Aside from reading, I prepare for writing a collection by simply generating as much work as possible and spending a generous amount of time revising. There is nothing more helpful than having time to revise.